For other people named George Rogers Clark, see George Rogers Clark (disambiguation). George Rogers Clark (November 19, 1752 – February 13, 1818) was a surveyor, soldier, and militia officer from Virginia who became the highest ranking American military officer on the northwestern frontier during the American Revolutionary War. He served as leader of the militia in Kentucky (then part of Virginia) throughout much of the war. Clark is best known for his celebrated captures of Kaskaskia (1778) and Vincennes (1779) during the Illinois Campaign, which greatly weakened British influence in the Northwest Territory. Because the British ceded the entire Northwest Territory to the United States in the 1783 Treaty of Paris, Clark has often been hailed as the "Conqueror of the Old Northwest". Clark's major military achievements occurred before his thirtieth birthday. Afterwards, he led militia in the opening engagements of the Northwest Indian War, but was accused of being drunk on duty. Despite his demand for a formal investigation into the accusations, he was disgraced and forced to resign. Clark left Kentucky to live on the Indiana frontier. Never fully reimbursed by Virginia for his wartime expenditures, Clark spent the final decades of his life evading creditors, and living in increasing poverty and obscurity. He was involved in two failed attempts to open the Spanish-controlled Mississippi River to American traffic. After suffering a stroke and the amputation of his right leg, Clark became an invalid. He was aided in his final years by family members, including his younger brother William, one of the leaders of the Lewis and Clark Expedition. George Rogers Clark died of a stroke on February 13, 1818. George Rogers Clark was born on November 19, 1752 in Albemarle County, Virginia, near Charlottesville, the hometown of Thomas Jefferson. He was the second of ten children of John and Ann Rogers Clark, who were Anglicans of English and Scots ancestry. Five of their six sons became officers during the American Revolutionary War. Their youngest son, William Clark, was too young to fight in the war, but later became famous as a leader of the Lewis and Clark Expedition. Around 1756, after the outbreak of the French and Indian War (part of the worldwide Seven Years' War), the family moved from the Virginia frontier to Caroline County, Virginia, and lived on a 400-acre (1.6 km2) plantation that later grew to include more than 2,000 acres (8.1 km2). Clark had little formal education. He lived with his grandfather so he could receive a common education at Donald Robertson's school with James Madison and John Taylor of Caroline and . He was also tutored at home, as was usual for Virginian planters' children of the period. Clark's grandfather trained him to be a surveyor. In 1771, at age nineteen, Clark left his home on his first surveying trip into western Virginia. In 1772, as a twenty-year-old surveyor, Clark made his first trip into Kentucky via the Ohio River at Pittsburgh, and spent the next two years surveying the Kanawha River region, as well as learning about the area's natural history and customs of the Native Americans who lived there. In the meantime, thousands of settlers were entering the area as a result of the Treaty of Fort Stanwix of 1768. Clark's military career began in 1774, when he served as a captain in the Virginia militia. Clark was preparing to lead an expedition of ninety men down the Ohio River when hostilities broke out between the Shawnee and settlers on the Kanawha frontier that eventually culminated in Lord Dunmore's War. Although most of Kentucky was not inhabited by Native Americans, several tribes used the area for hunting. Tribes in the Ohio country that had not been party to the treaty signed with the Cherokee were angry because the Kentucky hunting grounds had been ceded to Great Britain without their approval. As a result, they tried to push the European-American settlers to out of the area, but were unsuccessful. Clark spent a few months surveying in Kentucky, as well as assisted in organizing Kentucky as a county for Virginia prior to the American Revolutionary War. As the American Revolutionary War began in the East, Kentucky's settlers became involved in a dispute about the region's sovereignty. Richard Henderson, a judge and land speculator from North Carolina, had purchased much of Kentucky from the Cherokee in an illegal treaty. Henderson intended to create a proprietary colony known as Transylvania, but many Kentucky settlers did not recognize Transylvania's authority over them. In June 1776, these settlers selected Clark and John Gabriel Jones to deliver a petition to the Virginia General Assembly, asking Virginia to formally extend its boundaries to include Kentucky. Clark and Jones traveled the Wilderness Road to Williamsburg, where they convinced Governor Patrick Henry to create Kentucky County, Virginia. Clark was given 500 lb (230 kg) of gunpowder to help defend the settlements and was appointed a major in the Kentucky County militia. Clark was just twenty-four years old, but older settlers such as Daniel Boone, Benjamin Logan, and Leonard Helm looked to him as a leader. In 1777 the Revolutionary War intensified in Kentucky. From his headquarters at Fort Detroit, British lieutenant governor Henry Hamilton armed and encouraged his Native American allies to wage war on the Kentucky settlers in hopes of reclaiming the region as their hunting ground. The Continental Army could spare no men for an invasion in the northwest or for the defense of Kentucky, which was left entirely to the local population. Clark spent several months defending settlements against the Native American raiders as a leader in the Kentucky County militia, while developing his plan for a long-distance strike against the British. Clark's strategy involved seizing British outposts north of the Ohio River to destroy British influence among its Native American allies. In December 1777 Clark presented his plan to Virginia's governor, Patrick Henry, and asked for permission to lead a secret expedition to capture the British-held villages at Kaskaskia, Cahokia, and Vincennes in the Illinois country. Governor Henry commissioned Clark as a lieutenant colonel in the Virginia militia and authorized him to raise troops for the expedition. Clark and his officers recruited volunteers from Pennsylvania, Virginia, and North Carolina. The men gathered in early May near the Falls of the Ohio, south of Fort Pitt. Clark's regiment spent about a month along the Ohio River preparing for its secret mission. In July 1778, Clark and about 175 men crossed the Ohio River at Fort Massac and marched to Kaskaskia, capturing it on the night of July 4 without firing their weapons. The next day Captain Joseph Bowman and his company of men captured Cahokia in a similar fashion without firing a shot. The garrison at Vincennes along the Wabash River surrendered to Clark in August. Several other villages and British forts were subsequently captured, after most of the French-speaking and American Indian inhabitants refused to take up arms on behalf of the British. To counter Clark's advance, Hamilton recaptured the garrison at Vincennes, which the British called Fort Sackville, with a small force in December 1778. Prior to initiating a march on Fort Detroit, Clark used his own resources and borrowed from his friends to continue his campaign after the initial appropriation of funds from the Virginia legislature had been depleted. Clark reenlisted some of his troops and recruited additional men to join him. While Hamilton waited for spring to begin a campaign to retake the forts at Kaskaskia and Cahokia, Clark planned another surprise attack on Fork Sackville at Vincennes. 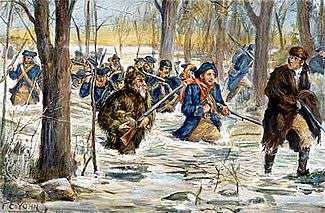 Clark and about 170 men left Kaskaskia on February 6, 1779, beginning an arduous overland trek, encountering melting snow, ice, and cold rain along the journey. Clark and his men arrived at Vincennes on February 23, and launched a surprise attack on Fort Sackville. Hamilton, who surrendered the garrison on February 25, was captured in the process. The winter expedition, Clark's most significant military achievement, became the basis of his reputation as an early American military hero. When news of his victory reached General George Washington, Clark's success was celebrated and was used to encourage the alliance with France. General Washington recognized Clark's achievement had been gained without support from the regular army in men or funds. Virginia also capitalized on Clark's success, laying claim to the Old Northwest by calling it Illinois County, Virginia. Although Clark's ultimate goal during the Revolutionary War was to seize the British-held fort at Detroit, he could never recruit enough men and acquire sufficient munitions to make the attempt. (Kentucky militiamen generally preferred to defend their homes by staying closer to Kentucky, instead of making a long and potentially perilous expedition to Detroit.) Clark returned to the Falls of the Ohio and Louisville, Kentucky, where he continued to defend the Ohio River valley until the end of the war. In June 1780 a mixed force of British and Native Americans from the Detroit area, including Shawnee, Delaware, and Wyandot, among others, invaded Kentucky with cannons, capturing two fortified settlements and seizing hundreds of prisoners. In August 1780 Clark led a retaliatory force that won a victory at the Shawnee village of Peckuwe, the present-day site of George Rogers Clark Park near Springfield, Ohio. In 1781 Virginia's governor, Thomas Jefferson, promoted Clark to brigadier general and gave him command of all the militia in the Kentucky and Illinois counties. As Clark prepared to lead another expedition against the British at their allies in Detroit, General Washington transferred a small group of regulars to assist, but the detachment was disastrously defeated in August 1781 before they could meet up with Clark, ending the campaign. In August 1782, another British-Indian force defeated the Kentucky militia at the Battle of Blue Licks. Although Clark, the militia's senior military officer, had not been present at the battle, he was severely criticized in the Virginia Council for the disaster. In response, Clark led another expedition into the Ohio country, destroying several Indian villages along the Great Miami River during the Battle of Piqua, the last major expedition of the war. The importance of Clark's activities during the Revolutionary War has been the subject of much debate among historians. As early as 1779 George Mason called Clark the "Conqueror of the Northwest." Because the British ceded the entire Old Northwest Territory to the United States in the Treaty of Paris (1783), some historians, including William Hayden English, credit Clark with nearly doubling the size of the original thirteen colonies when he seized control of the Illinois country during the war. Clark's Illinois campaign—particularly the surprise march to Vincennes—was greatly celebrated and romanticized. More recent scholarship from historians such as Lowell Harrison have downplayed the importance of the campaign in the peace negotiations and the outcome of the war, arguing that Clark's "conquest" was little more than a temporary occupation. Although the events of the Illinois campaign often describe the harsh, winter ordeal the Americans endured to reach their targets, James Fischer points out that the capture of Kaskaskia and Vincennes may not have been as difficult as previously suggested. Kaskaskia proved to be an easy target; Clark had sent two spies there in June 1777, who reported "an absence of soldiers in the town." Clark's men easily captured Vincennes and Fort Sackville. Prior to their arrival in 1778, Clark had sent Captain Leonard Helm to Vincennes to gather intelligence. In addition, Father Pierre Gibault, a local priest, helped persuade the town's inhabitants to side with the Americans. 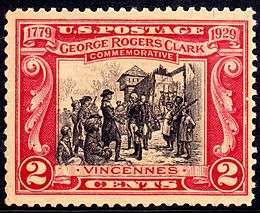 Before Clark and his men set out to recapture Vincennes in 1779, Francis Vigo provided Clark with additional information on the town, its surrounding area, and the fort. Clark was already aware of the fort's military strength, poor location (surrounded by houses that could provide cover), and dilapidated condition before his arrival. Clark's strategy of a surprise attack and strong intelligence were critical in catching Hamilton and his men unaware and vulnerable. Clark was just thirty years old when the Revolutionary War ended, but his greatest military achievements were already behind him. After Clark's victories in the Illinois country, settlers continued to pour into Kentucky and illegally living on Indian land north of the Ohio River. From 1784 to 1788 Clark served as the superintendent-surveyor for Virginia's war veterans, surveying lands granted to them for their service in the war. The position brought Clark a small income, but he devoted very little time to the enterprise. In 1785 Clark helped to negotiate the Treaty of Fort McIntosh and the Treaty of Fort Finney in 1786, but the violence between Native Americans and European-American settlers continued to escalate. According to a 1790 U.S. government report, 1,500 Kentucky settlers had been killed in Indian raids since the end of the Revolutionary War. In an attempt to end the raids, Clark led an expedition of 1,200 drafted men against Native American villages along the Wabash River in 1786. the campaign, one of the first actions of the Northwest Indian War, ended without a victory. After approximately three hundred militiamen mutinied due to a lack of supplies, Clark had to withdraw, but not before concluding a ceasefire with the native tribes. It was rumored, most notably by James Wilkinson, that Clark had often been drunk on duty. When Clark learned of the accusations, he demanded an official inquiry, but the Virginia governor declined his request and Virginia Council condemned Clark's actions. With Clark's reputation tarnished, he never again led men in battle. Clark left Kentucky and moved across the Ohio River to the Indiana frontier, near present-day Clarksville, Indiana. Following his military service, and especially after 1787, Clark spent much of the remainder of his life dealing with financial difficulties. Clark had financed the majority of his military campaigns with borrowed funds. When creditors began pressuring him to repay his debts, Clark was unable to obtain reimbursement from Virginia or the United States Congress. 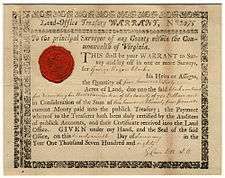 Due to haphazard record keeping on the frontier during the war, Virginia refused payment, claiming that Clark's receipts for his purchases were "fraudulent". As compensation for his wartime service, Virginia gave Clark a gift of 150,000 acres (610 km2) of land that became known as Clark's Grant in present-day southern Indiana, while the soldiers who fought with Clark also received smaller tracts of land. Clark's Grant and his other holdings gave Clark ownership of land that encompassed present-day Clark County, Indiana, and portions of adjoining Floyd and Scott Counties. Although Clark had claims to tens of thousands of acres of land, the result of his military service and land speculation, he was "land-poor," meaning that he owned much land but lacked the resources to develop it. Clark wrote his memoirs around 1791, but they were not published during his lifetime. Although the autobiography contains factual inaccuracies, the work includes Clark's perspective on the events of his life. Some historians believe Clark wrote his memoirs in attempt to salvage his damaged reputation and to document his contributions during the Revolutionary War. On February 2, 1793, with his career seemingly over and his prospects for prosperity doubtful, Clark offered his services to Edmond-Charles Genêt, the controversial ambassador of revolutionary France, hoping to earn money to maintain his estate. Western Americans were outraged that the Spanish, who controlled Louisiana, denied Americans free access to the Mississippi River, their only easy outlet for long distance commerce. The Washington administration was also unresponsive to western concerns about opening the Mississippi River to U.S. commerce. Clark proposed to Genêt that, with French financial support, he could lead an expedition to drive the Spanish out of the Mississippi Valley. Genêt appointed Clark "Major General in the Armies of France and Commander-in-chief of the French Revolutionary Legion on the Mississippi River". Clark began to organize a campaign to seize New Madrid, St. Louis, Natchez, and New Orleans, getting assistance from old comrades such as Benjamin Logan and John Montgomery, and winning the tacit support of Kentucky governor Isaac Shelby. Clark spent $4,680 ($59,161 in 2009 chained dollars) of his own money for supplies. In early 1794, however, President Washington issued a proclamation forbidding Americans from violating U.S. neutrality and threatened to dispatch General Anthony Wayne to Fort Massac to stop the expedition. The French government recalled Genêt and revoked the commissions he granted to the Americans for the war against Spain. Clark's planned campaign gradually collapsed, and he was unable to convince the French to reimburse him for his expenses. Clark's reputation, already damaged by earlier accusations at the end of the Revolutionary War, was further maligned as a result of his involvement in these foreign intrigues. In his later years Clark's mounting debts made it impossible for him to retain ownership of his land, since it became subject to seizure due to his debts. Clark deeded much of his land to friends or transferred ownership to family members so his creditors could not seize it. Lenders and their assignees eventually deprived the veteran of nearly all of the property that remained in his name. Clark, who was at one time the largest landholder in the Northwest Territory, was left with only a small plot of land in Clarksville. In 1803 Clark built a cabin overlooking the Falls of the Ohio, where he lived until his health failed in 1809. He also operated a small gristmill, which he worked with two African American slaves. Clark's knowledge of the region helped him to become an expert on the West's natural history. Over the years he welcomed travelers, including those interested in natural history, to his home overlooking the Ohio River. Clark supplied details on the area's plant and animal life to John Pope and John James Audubon, and hosted his brother, William, and Meriweather Lewis, prior to their expedition to the Pacific Northwest. Clark also provided information on the Ohio Valley's native tribes to Allan Bowie Magruder and archaeological evidence related to the Mound Builders to John P. Campbell. In later life Clark continued to struggle with alcohol abuse, a problem which had plagued him on-and-off for many years. He also remained bitter about his treatment and neglect by Virginia, and blamed it for his financial misfortune. When the Indiana Territory chartered the Indiana Canal Company in 1805 to build a canal around the Falls of the Ohio, near Clarksville, Clark was named to the board of directors. He became part of the surveying team that assisted in laying out the route of the canal. The company collapsed the next year before construction could begin, when two of the fellow board members, including Vice President Aaron Burr, were arrested for treason. A large part of the company's $1.2 million ($60.5 million in 2009 chained dollars) in investments was unaccounted for; its location was never determined. Alcoholism and poor health afflicted Clark during his final years. In 1809 he suffered a severe stroke. When he fell into an operating fireplace, Clark suffered a burn on his right leg that was so severe it had to be amputated. The injury made it impossible for Clark to continue to operate his mill and live independently. As a result, he moved to Locust Grove, a farm eight miles (13 km) from the growing town of Louisville, and became a member of the household of his sister, Lucy, and brother-in-law, Major William Croghan, a planter. In 1812 the Virginia General Assembly granted Clark a pension of four hundred dollars per year and finally recognized his services in the Revolutionary War by presenting him with a ceremonial sword. After another stroke, Clark died at Locust Grove on February 13, 1818; he was buried at Locust Grove Cemetery two days later. Clark's remains were exhumed along with those of his other family members on October 29, 1869, and buried at Cave Hill Cemetery in Louisville. In his funeral oration, Judge John Rowan succinctly summed up Clark's stature and importance during the critical years on the trans-Appalachian frontier: "The mighty oak of the forest has fallen, and now the scrub oaks sprout all around." Clark's career was closely tied to events in the Ohio-Mississippi Valley at a pivotal time when the region was inhabited by numerous Native American tribes and claimed by the British, Spanish, and French, as well as the fledgling U.S. government. As a member of the Virginia militia, and with Virginia's support, Clark's campaign into the Illinois country helped strengthen Virginia's claim on lands in the region as it came under the control of the Americans. Clark's military service in the interior of North America also helped him became an "important source of leadership and information (although not necessarily accurate) on the West." Clark is best known as a war hero of the Revolutionary War in the West, especially as the leader of the secret expeditionary forces that captured Kaskaskia, Cahokia, and Vincennes in 1778–79. Some historians have suggested that the campaign supported American claims to the Northwest Territory during negotiations that resulted in the Treaty of Paris (1783). Clark's Grant, the large tract of land on the north side of the Ohio River that he received as compensation for his military service, included a large portion of Clark County, Indiana, and portions of Floyd and Scott Counties, as well as the present-day site of Clarksville, Indiana, the first American town laid out in the Northwest Territory (in 1784). Clark served as the first chairman of the Clarksville, Indiana, board of trustees. Clark was unable to retain title to his landholdings. At the end of his life, he was poor, in ill health, and frequently intoxicated. Several years after Clark's death the state of Virginia granted his estate $30,000 ($568,853 in 2009 chained dollars) as a partial payment on the debts it owed him. The government of Virginia continued to repay Clark for decades; the last payment to his estate was made in 1913. Clark never married and he kept no account of any romantic relationships, although his family held that he had once been in love with Teresa de Leyba, sister of Don Fernando de Leyba, the lieutenant governor of Spanish Louisiana. Writings from his niece and cousin in the Draper Manuscripts in the archives of the Wisconsin Historical Society attest to their belief in Clark's lifelong disappointment over the failed romance. On May 23, 1928, President Calvin Coolidge ordered a memorial to Clark to be erected at Vincennes, Indiana. Completed in 1933, the George Rogers Clark Memorial was dedicated on June 14, 1936, by President Franklin D. Roosevelt. The Roman-style temple was erected on what was believed to have been the site of Fort Sackville. The site, now called the George Rogers Clark National Historical Park, became a part of the National Park Service in 1966. Hermon Atkins MacNeil created the monument's 7.5-foot (2.3 m) bronze statue of Clark. The monument's walls include seven murals depicting Clark's famous expedition. On February 25, 1929, to commemorate the 150th anniversary of the surrender of Fort Sackville, the U.S. Postal Service issued a two-cent postage stamp depicting the event. In 1975 the Indiana General Assembly designated February 25 as George Rogers Clark Day in Indiana. In 1979 Indiana's automobile license plates commemorated the 100th anniversary of Clark's capture of Fort Sackville. A bronze statue of Clark is one of several erected on Monument Circle, surrounding the Soldiers' and Sailors' Monument, in downtown Indianapolis, Indiana. Sculptor John H. Mahoney received the commission to create the statue, which was completed in 1895. The Daughters of the American Revolution placed a statue by sculptor Leon Hermant at Metropolis, the site of Fort Massac, in Massac County, Illinois, in the early 1900s. Sculptor Felix de Weldon created the Clark statue at Riverfront Plaza/Belvedere, next to the wharf on the Ohio River, in Louisville, Kentucky. Charles Keck created the memorial statue of Clark at the site of the Battle of Piqua, near Springfield, Ohio. Robert Aitken's bronze sculpture of Clark was erected on Monument Square, on the grounds of the University of Virginia at Charlottesville, Virginia, in 1921. A Clark statue was erected in Riverview Park, on the eastern bank of the Mississippi River at Quincy, Illinois. In April 1929, the Paul Revere Chapter of the Daughters of the American Revolution of Muncie, Indiana, erected a monument to Clark on Washington Avenue in Fredericksburg, Virginia. The marker does not identify Clark's connection to Fredericksburg; the reason for its location is unknown. Clark is the namesake of several U.S. counties: Clark County, Illinois; Clark County, Indiana; Clark County, Kentucky; Clark County, Ohio; and Clarke County, Virginia. Several communities in the U.S. have been named in his honor: Clarksville, Indiana; Clarksville, Tennessee; and Clarksburg, West Virginia. George Rogers Clark Elementary School of Chicago, Illinois. The George Rogers Clark Memorial Bridge (Second Street Bridge), built in 1929, carries U.S. Highway 31 over the Ohio River at Louisville, Kentucky. In 1979 the Indiana American Revolution Bicentennial Commission and the Indiana Highway Commission erected an estimated 600 signs to establish the George Rogers Clark Trail, marking the routes used by Clark and his men in Indiana during the Revolutionary War. Clark Street in Chicago, Illinois is named in his honor. A campsite in the Woodland Trails Scout Reservation, Camden, Ohio, is named after Clark. ↑ Miles P DuVal (1969). George Rogers Clark: Conqueror of the Old Northwest. ↑ James J. Holmberg. The Clark Family and the Kentucky Derby. Filson Historical Society. ↑ Old South Meeting House. The Old South Leaflets: Annual Series. 1893. ↑ Frederick Palmer (1929). Clark of the Ohio: A Life of George Rogers Clark. Kessinger Publishing. p. 3. ISBN 0-7661-8139-1. 1 2 James Fischer (June 1996). "A Forgotten Hero Remembered, Revered, and Revised: The Legacy and Ordeal of George Rogers Clark". Indiana Magazine of History. Bloomington: Indiana University. 92 (2): 109. Retrieved September 22, 2016. ↑ Donald John MacDougall (1917). Scots and Scots' Descendants in America. 1. Caledonian publishing Company. p. 54. ↑ William HaydenEnglish (1896). Conquest of the Country Northwest of the River Ohio, 1778–1783, and Life of Gen. George Rogers Clark. 1. Indianapolis: Bowen-Merrill. pp. 35–38. 1 2 3 4 5 6 7 8 9 Linda C. Gugin and James E. St. Clair, eds. (2015). Indiana's 200: The People Who Shaped the Hoosier State. Indianapolis: Indiana Historical Society Press. p. 60. ISBN 978-0-87195-387-2. ↑ Nelson Price (1997). Indiana Legends: Famous Hoosiers From Johnny Appleseed to David Letterman. Carmel, IN: Guild Press of Indiana. p. 9. ISBN 1578600065. 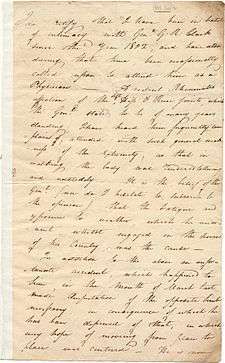 ↑ For a description of the surprise attack on Fort Sackville, see Palmer, pp. 368–91. ↑ Karl Raitz, ed. (1996). A Guide to the National Road. Baltimore: Johns Hopkins University Press. pp. 200–01. ISBN 9780801851568. Retrieved September 22, 2009. ↑ James H. Madison (2014). Hoosiers: A New History of Indiana. Bloomington and Indianapolis: Indiana University Press and the Indiana Historical Society Press. p. 22. ISBN 978-0-253-01308-8. ↑ Indiana Historical Bureau. "Plat of Clark's Grant". IN.gov. Retrieved August 5, 2008. ↑ "Clark after the Revolution". Indiana Historical Bureau. Retrieved August 25, 2008. ↑ English, 2:897. English explains that several bodies were exhumed before Clark's skeleton was finally identified by its military uniform, amputated leg, and red hair. English stated an exhumed in 1889; however, the Indiana Historical Bureau indicates that the year was 1869 See "Clark's Death". Indiana Historical Bureau. Retrieved August 25, 2008. ↑ "George Rogers Clark National Historic Park". National Park Service. Retrieved March 22, 2009. ↑ "George Rogers Clark National Historic Park". National Park Service. Retrieved August 25, 2008. ↑ Glory-June Greiff (2005). Remembrance, Faith and Fancy: Outdoor Public Sculpture in Indiana. Indianapolis: Indiana Historical Society Press. p. 142. ISBN 0-87195-180-0. 1 2 "Celebrating Clark". Indiana Historical Bureau. Retrieved August 25, 2008. ↑ James H. Madison and Lee Ann Sandweiss (2014). Hoosiers and the American Story. Indianapolis: Indiana Historical Society Press. p. 39. ISBN 978-0-87195-363-6. ↑ Betsy Gohdes-Baten (April 13, 1996). "National Register of Historic Places Registration Form: George Rogers Clark Sculpture" (pdf). National Park Service, U.S. Department of the Interior. Retrieved September 26, 2016. ↑ "George Rogers Clark Historical Marker". The Historical Marker database. Retrieved July 15, 2008. ↑ "George Rogers Clark Elementary School". Archived from the original on April 6, 2009. Retrieved August 28, 2008. ↑ "George Rogers Clark Md/HS (4411)". Indiana Department of Education. Retrieved September 26, 2016. ↑ "School Report Card: George Rogers Clark High School". Kentucky Department of Education. Retrieved September 26, 2016. ↑ George Rogers Clark Trail: An Indiana Bicentennial Project. 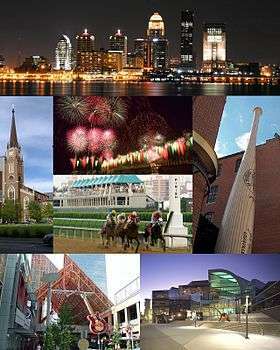 Indianapolis: Indiana American Bicentennial Commission. 1979. OCLC 32801237. "Celebrating Clark". Indiana Historical Bureau. Retrieved August 25, 2008. "Clark after the Revolution". Indiana Historical Bureau. Retrieved August 25, 2008. "Clark's Death". Indiana Historical Bureau. Retrieved August 25, 2008. Dunn Jr., Jacob Piatt (1919). Indiana and Indianans. Chicago and New York: American Historical Society. DuVal, Miles P. (1969). George Rogers Clark: Conqueror of the Old Northwest. English, William Hayden (1896). Conquest of the Country Northwest of the River Ohio, 1778–1783, and Life of Gen. George Rogers Clark. 2 Volumes. Indianapolis: Bowen-Merrill. Fischer, James (June 1996). "A Forgotten Hero Remembered, Revered, and Revised: The Legacy and Ordeal of George Rogers Clark". Indiana Magazine of History. Bloomington: Indiana University. 92 (2): 109 –32. Retrieved September 22, 2016. "George Rogers Clark Elementary School". Archived from the original on April 6, 2009. Retrieved August 28, 2008. "George Rogers Clark Historical Marker". The Historical Marker database. Retrieved July 15, 2008. "George Rogers Clark Memorial". National Park Service. Retrieved August 25, 2008. "George Rogers Clark Md/HS (4411)". Indiana Department of Education. Retrieved September 26, 2016. "George Rogers Clark National Historic Park". National Park Service. Retrieved March 22, 2009. George Rogers Clark Trail: An Indiana Bicentennial Project. Indianapolis: Indiana American Bicentennial Commission. 1979. OCLC 32801237. Gohdes-Batenm Betsy (April 13, 1996). "National Register of Historic Places Registration Form: George Rogers Clark Sculpture" (pdf). National Park Service, U.S. Department of the Interior. Retrieved September 26, 2016. Harrison, Lowell H. (2001) . George Rogers Clark and the War in the West. Lexington: University Press of Kentucky. ISBN 0-8131-9014-2. Holmberg, James J. The Clark Family and the Kentucky Derby. Filson Historical Society. James, James Alton (1928). The Life of George Rogers Clark. Chicago: University of Chicago Press. MacDougall, Donald John (1917). Scots and Scots' Descendants in America. 1. Caledonian publishing Company. Old South Meeting House. The Old South Leaflets: Annual series. 1893. Palmer, Frederick (1929). Clark of the Ohio: A Life of George Rogers Clark. Kessinger Publishing. ISBN 0-7661-8139-1. "Plat of Clark's Grant". Indiana Historical Bureau. Retrieved August 5, 2008. Price, Nelson (1997). Indiana Legends: Famous Hoosiers From Johnny Appleseed to David Letterman. Carmel, IN: Guild Press of Indiana. pp. 9–11. ISBN 1578600065. "School Report Card: George Rogers Clark High School". Kentucky Department of Education. Retrieved September 26, 2016. Alberts, Robert C. (1975). George Rogers Clark and the Winning of the Old Northwest. Washington, D. C.: National Park Service, U. S. Department of the Interior. OCLC 2020739. * Bakeless, John (1992) . Background to Glory: The Life of George Rogers Clark. Lincoln:University of Nebraska Press: Bison Book. ISBN 0-8032-6105-5. Bodley, Temple (1926). George Rogers Clark: His Life and Public Services. Boston: Houghton Mifflin Company. Butterfield, Consul Willshire (1904). History of George Rogers Clark's Conquest of the Illinois and the Wabash Towns, 1778 and 1779. Columbus, Ohio: Heer. Nester, William R. (2012). George Rogers Clark: "I Glory in War". Norman, Oklahoma: University of Oklahoma Press. ISBN 978-0-8061-4294-4. Seineke, Kathrine Wagner (1981). The George Rogers Clark Adventure in the Illinois: and Selected Documents of the American Revolution at the Frontier Posts. New York: Polyanthos. Sheehan, Bernard W. (March 1983). "'The Famous Hair Buyer General': Henry Hamilton, George Rogers Clark, and the American Indian". Indiana Magazine of History. Bloomington: Indiana University. 79 (1): 1–28. Retrieved September 22, 2016. Thruston, R. C. Ballard (October 1936). "The Grave of General George Rogers Clark". Filson Club History Quarterly. 10 (4). Retrieved November 29, 2011. Thruston, R. C. Ballard (January 1935). "Some Recent Finds Regarding the Ancestry of General George Rogers Clark". Filson Club History Quarterly. 9 (1). Retrieved November 29, 2011. Wikimedia Commons has media related to George Rogers Clark. Chisholm, Hugh, ed. (1911). "Clark, George Rogers". Encyclopædia Britannica (11th ed.). Cambridge University Press.